Blog Fit For the Future! 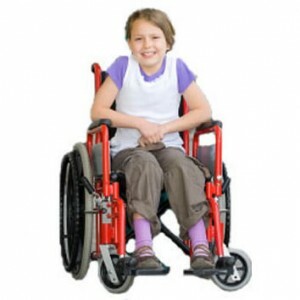 Validation of an activity monitor for wheelchair bound children with a physical disability. Fit For the Future! Validation of an activity monitor for wheelchair bound children with a physical disability. Inactivity is a well-known risk factor for the development of health related problems in the general population as well as in children and adolescents with a physical disability. There is an association between low physical activity, higher risk of cardiovascular diseases and overall mortality. On the basis of reviews from HALYNed, fase 1 of Fit For the Future! and experts meetings, there is a need to objectify physical (in)activity to support interventions at physical activity level or lifestyle change, especially for ambulatory and wheelchair-bound children with a physical disability. On the moment, there is no instrument to objectively measure physical activity that is also applicable for this population in pediatric physical therapy practice. Therefore together with Activ8 we look to create an activity monitor for wheelchair bound children with a physical disability. The aim of this study is to determine the validity of an accelerometry-based activity monitor to quantify physical behaviour in typically developing children, ambulatory and (party) wheelchair-bound children with a physical disability. and the consortium of Fit for the Future!